Easily one of the most cost effective ways a business can get its message across is by using sandwich boards. These signs are easily placed in high visibility areas such as sidewalks, street corners, boulevards, yards and more! They are great for advertising anything from open houses, to sales, new business locations, directions to your business, or simply letting potential customer's know you are in the area working. Our sandwich boards are available in different sizes and styles, and are durable and easily moved from location to location. Yard signs are typically made from cloreplast and have a standard size of 24" by 18", however custom sizes are available to suit your specific application. We use spider step stakes for ground mounting, which are a step up from your traditional metal H pegs, giving your sign a longer lifespan and greater durability. We also makes signs in all different sizes, with quality grommets that can easily be attached to fences, buildings, etc. Searching for the best yard signs in Victoria? Then end up your searching with us. We will take care to expand your business by providing best sandwich board Victoria, that will definitely carry the attention of the passersby. 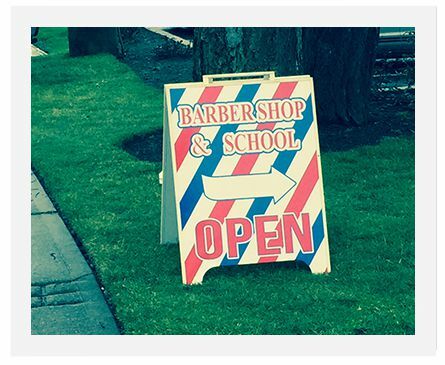 What is a sandwich board and why it is used? 1. A very inexpensive way of communication with the masses on the street. 2. Easy to deliver the key aspect of the business. 3. A catchy graphic on sandwich board can carry the attention of the streetwalkers or passersby very easily. 4. Easy to put anywhere without any worry. 5. It is very easy and hassle-free to store these boards. There are various other benefits of sandwich boards Victoria because of which every business person goes for this to get maximum returns from their campaigns. Moreover, because of its inexpensive nature, it is very much affordable to anyone without compromising with their business budget. 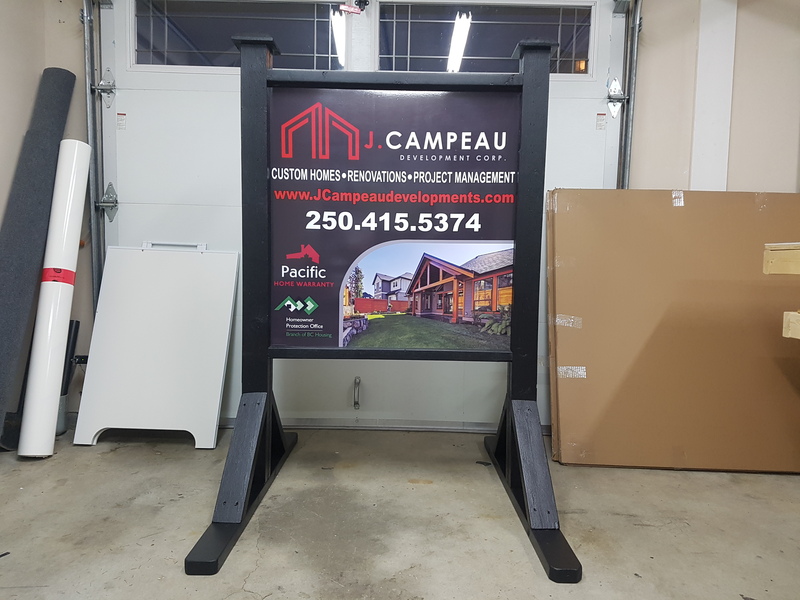 As wrapitsigns is the most vulnerable yard signs providers, we have great resources to provide you with the best type of yard signs in Victoria area that are specialized in their own. Here we are discussing the three most important types in detail. We provide a great collection of plastic yard signs that will definitely help you to get more and more customers for your business. This type of plastic yard signs Victoria is made from chloroplast and thus is durable enough to last till an election cycle. It is light weighted and sturdy and nature and can, therefore, be carried out anywhere. We also provide poly bag yard signs whose durability is more than that of plastic signs. Because of its standard yard sign wires, it is very light weighted and weatherproof. Our specialized poly coated yard signs are just like traditional fold-over cardboard signs but its advanced graphics makes it different from others. It is available with wooden or steel wires. Although, wooden wires are less expensive than steel one, but the durability of the steel stakes are more. As the thicker, the poly coat the more long-lasting the sign is, that is why we provide you with the best poly coat yard sign for sandwich board Victoria that can last for a long time. Among many other providers what makes you choose wrapitsigns is very important to know. We are having professional graphic designers who can help with the best graphics for yard signs Victoria. Moreover, our sandwich board yard signs are having high visibility for sidewalks, street corners, boulevards, yards, etc. The ease of storage of our sandwich board yard signs Victoria is also very much with us. Get the earliest services done for your campaign now only with us.